Louis Armstrong was often the boisterous reveler, but here is a rarer side Satch the Serenader. 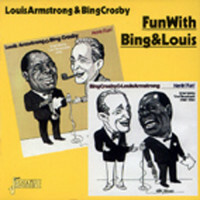 He croons such classic torch songs as I'll Walk Alone and the great French airs C'est Si Bon and La Vie en Rose, as well as two by Hank Williams. 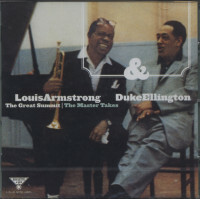 And when Armstrong pleads for A Kiss to Build a Dream On, how could any lady refuse? 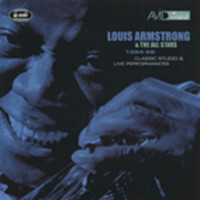 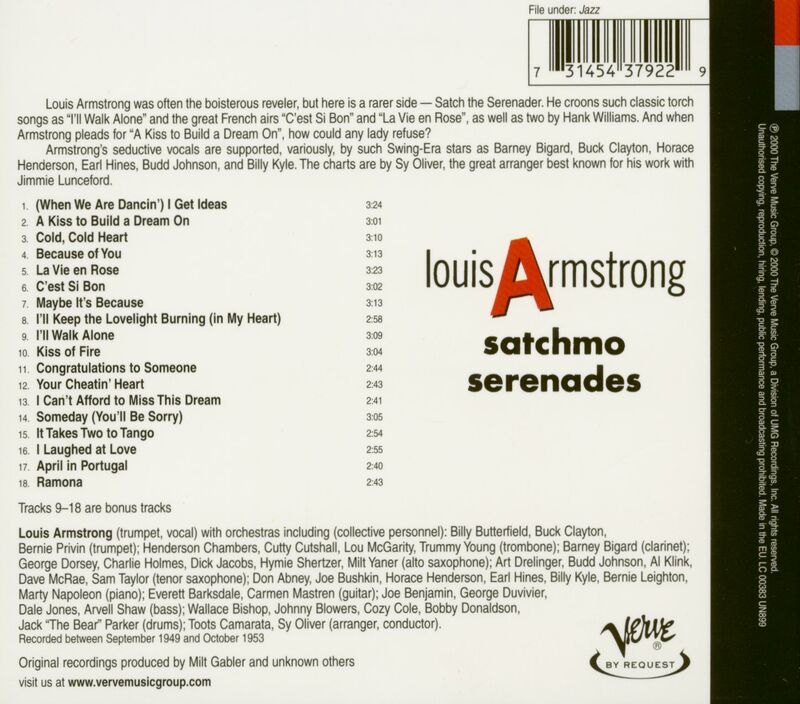 Armstrong's seductive vocals are supported, variously, by such Swing-Era stars as Barney Bigard, Buck Clayton, Horace Henderson, Earl Hines, Budd Johnson, and Billy Kyle. 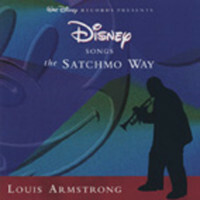 The charts are by Sy Oliver, the great arranger best known for his work with Jimmie Lunceford. 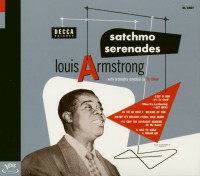 Kundenbewertungen für "Satchmo Serenades (CD)"